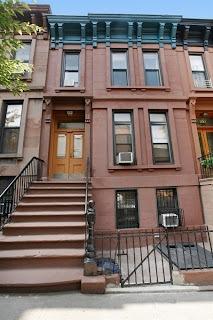 You don't see a corner 8-Family bowfront limestone in Cobble Hill come on the market that often. Weighing in at a whopping 13,000 sqft, this 30' x 90' building is unattached on 3 sides and has over 20 windows on each floor. 173 Amity Street is a serious flagship property. It listed at $5.5M and closed for $4.525M cash last month. That's no small amount of money, but $348/sqft is a great price for such a monster piece in an area where smaller townhomes can fetch $3M easily. 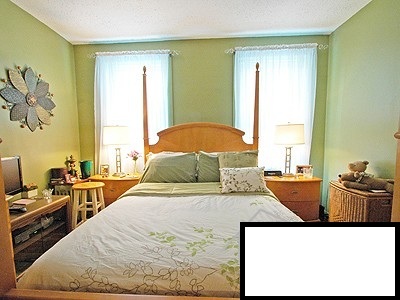 You can check out a rental here, but no pics (or even a layout) were really necessary to move this piece. 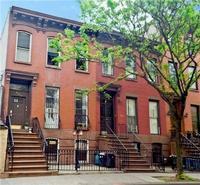 After another great play in nearby Carroll Gardens went in contract last Fall with multiple back-up offers at 364 Union Street for its asking price of $2.5M - or $333/sqft - it was no surprise to see 173 Amity get the love it deserves. 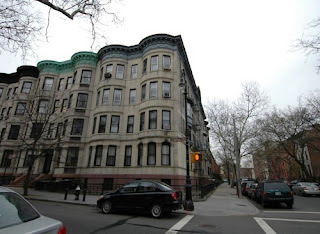 A comment on Brownstoner asks, "How many of the 8 apartments are RC or RS ? Presumably the rent roll is low, otherwise it would have gone for much more." Well, half of the apartments were rent stabilized, with a range from $1,233/month to $2,315/month. However, the other half were already free market with actual rents as high as $3,800/month and 2 apartments delivered vacant with projected rents of $4,500. 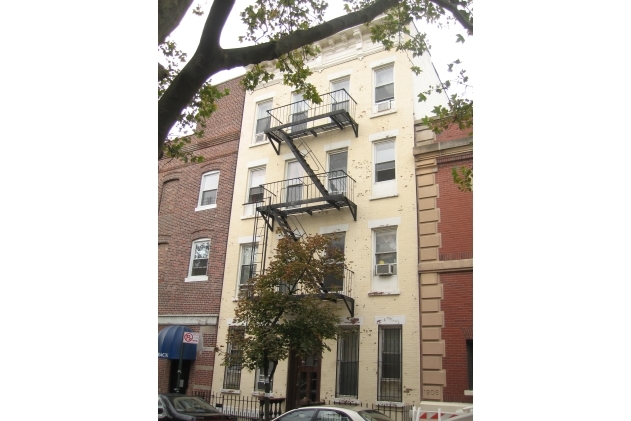 With a total projected rent roll of $266K/year and potential to easily reach $290K/year even with the rent stabilized rents as-is, this building is another cash cow waiting to happen. 173 Amity may have sold for "only" a 4.79% - 5.3% cap rate, however with lots of upside left if you know what to do with it. We call it a "genie in the bottle" when a building this juicy has plenty of upside to unlock. Christina Aguilera sang, "I'm a genie in a bottle, ya gotta rub me the right way." And if you know how to rub it, there's all kinds of potential to unlock in a building this large, this nice, and in this prime of a location. If you wanted 3 & 4 bedroom apartment rentals in an 8-Family limestone over 10,000 sqft even closer to the train than this for less than half the price, with even higher upside, than you should've been rolling with us this time last year when the highest bid on 234 St. James Place of $1.6M was up for grabs. Nowadays, a smaller, corner limestone 8-Family on the edge of Prospect Heights and Crown Heights at 706 Classon Avenue wants $3M. 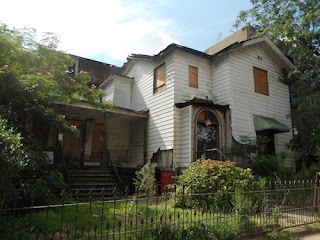 And that's a fixer upper without the rent roll of 234 St. James or 173 Amity. It won't be long before 173 Amity can go the way of 397 1st Street. But pricing as a buy & hold winner makes sense too. For those who know how to rub the lamps, a few more genie in a bottles are coming out on the market now. 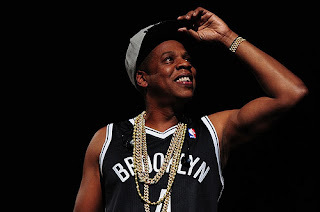 In 2003, Jay-Z sold out Madison Square Garden in Manhattan in a day. It was kind of a big deal. On the song "Encore" from what was supposed to be his retirement CD that year, he raps, "From Marcy to Madison Square / to the only thing that matters in just a matter of years." The implication obviously being that Marcy was a relative bottom, and Madison Square Garden was a relative top. Now, "after nine years of delays and controversy", he's opened Barclays Center in Brooklyn with 8 sold-out shows in a row. 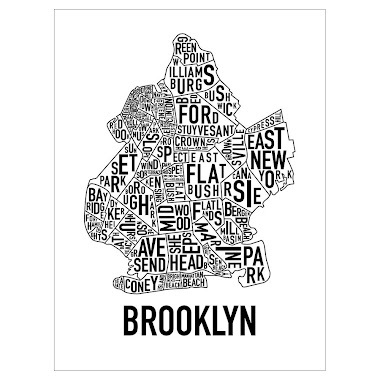 Just another sign of the times that Brooklyn is officially on the map. Lastnight, with Kanye's instrumental to "Encore" playing in the background, he told the crowd, "This night was a dream - to see it come to reality tonight... I can't even put into words what I'm feeling right now... nothing feels like it felt tonight... Like I said, everybody's from Brooklyn tonight." New to "BK to the Fullest" - Listings! There are better ways to try and sell your house than this hilarious sign caught in New Jersey. Sure, there are already hundreds of places to search for real estate, but BK to the Fullest still thinks the game is broken and needs fixing. So we're offering a place for owners and brokers to put their listings on our site and get exposure to thousands of readers and serious buyers in Brooklyn & beyond. Introducing our new "Listings" tab! This is just the start, however. First of all, it's brand new and we don't even have any listings on it yet. 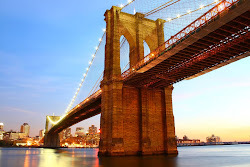 And it's going to take more than just this to bring Brooklyn real estate into the Information Age. Brownstoner's "Marketplace" has been up for some time now, and as great as it can be, it barely scratches the surface in some neighborhoods. And, ultimately, the direction is for everything to move to one place that makes all other places obsolete. Last week Trulia went public, pushing a market cap above $600M. But for all that money at stake, even this writer points out, "For my own home, which is not for sale, Trulia shows the picture of someone else’s house." 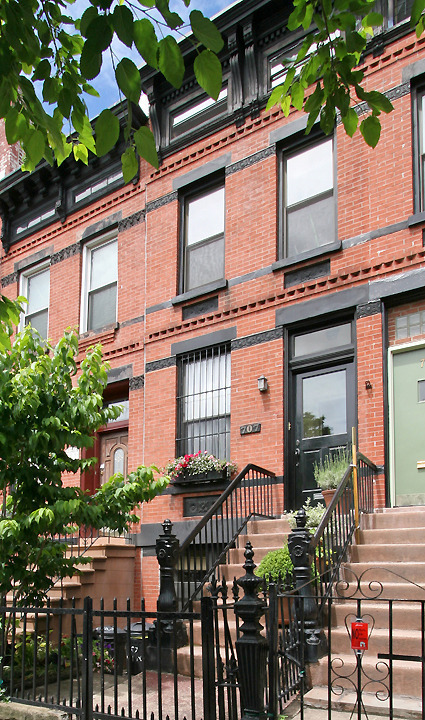 And, as we often point out, some of the best buys in all of Brooklyn aren't on Trulia. And they aren't on StreetEasy. And they aren't on the New York Times. 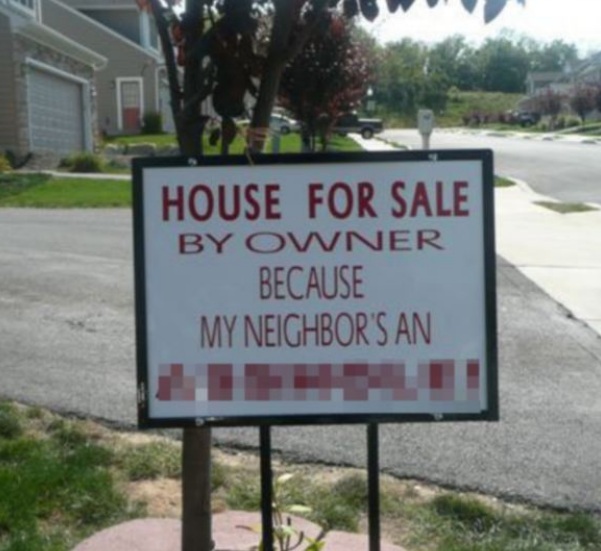 And they aren't on Zillow. Heck, some of them aren't even on their company's own website! As we've pointed out, LoopNet sold for some $800M+, but that doesn't mean they're the only place you should be listing a townhome in Park Slope. In fact, just this week we find out that one of the top commercial agents in all of Brooklyn who's sold over $300M in real estate has a high offer on one of his $3M+ listings, not from LoopNet, or their commercial brokerage's website, but from a reader of our website who agreed with our analysis. Even in light of this, we couldn't convince the agent that it couldn't hurt to throw his townhome listings on StreetEasy. And we couldn't convince StreetEasy to house the Platinum Member listings. But we're still working on it. And, in the meantime, we bring you a place where owners and brokers can put their listings, and where you might find some listings that you won't find on any other site. 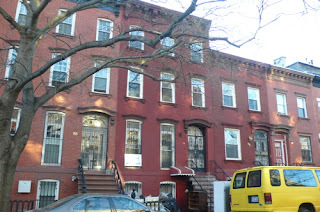 Closings of Note: "Millionaire's Row"
We know not everyone gives Crown Heights the credit it deserves. Many tell us they "don't want to go east of Bedford", but have you ever really been? It's frikkin' gorgeous over there! 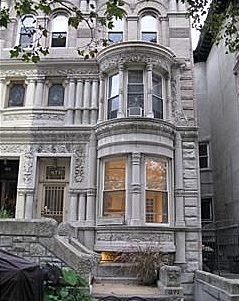 So don't be surprised when a home in Brooklyn's "Millionaire's Row" sells for, well... over a million dollars. 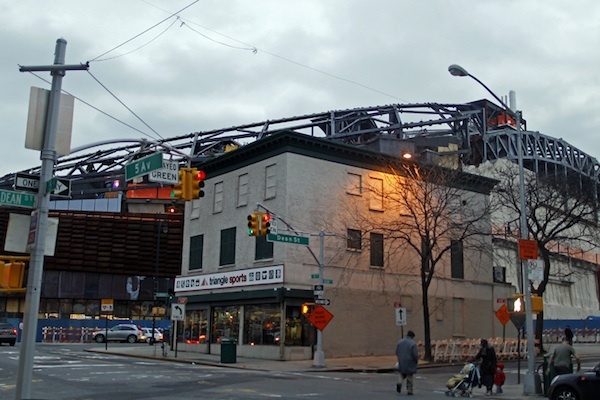 Many slept on 931 St. Marks Avenue last year, for well under a million. 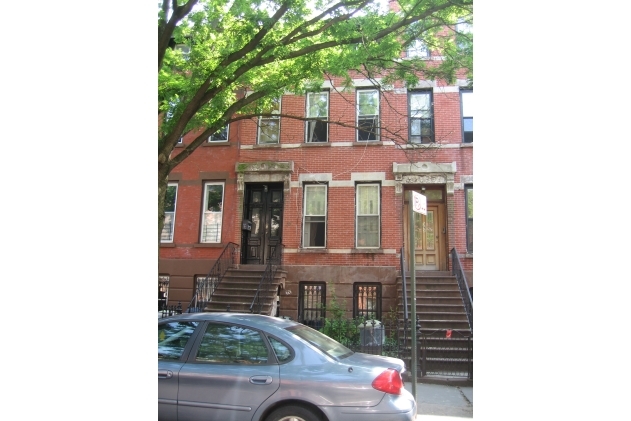 Now 871 St. Marks Avenue, a huge 23' x 50' on an extra-extra deep 150' lot, lists for $1.5M and sells for $1.3M last month. This is no fluke either, folks. 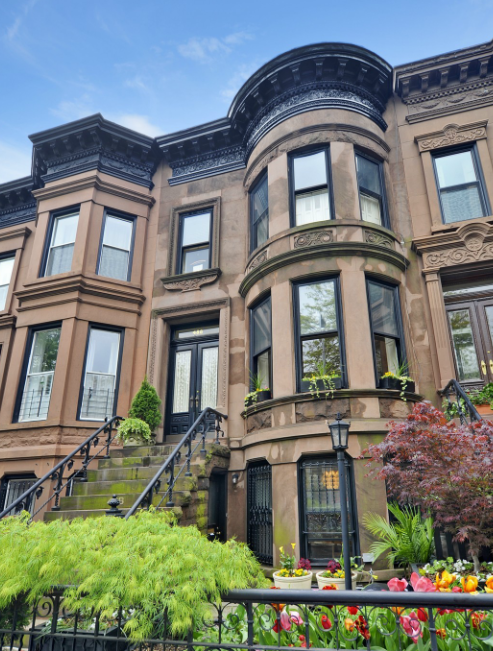 Take a look at 1259 Dean Street, or 1139 Dean Street, or 1171 Dean Street if you need more Crown Heights million dollar proof. Jay-Z says, "My whole team got dough / So my banquette is lookin' like Millionaire's Row." Because if you could have a millionaire's stone mansion for $1.3M in Crown Heights, who wouldn't want a suburban vinyl-siding piece in Greenwood for $1.16M? That's what this 2-Family at 281 18th Street closed for this month. 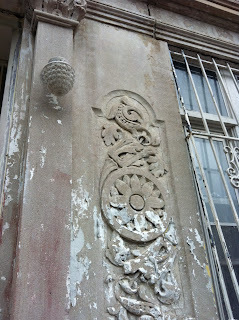 Brownstoner said, "This one makes us feel old." What it should make them feel is rich. Sure, before the crash this 3-story 20' x 40' brownstone at 404 Bergen Street listed for under $1.5M and fetched over $1.6M. 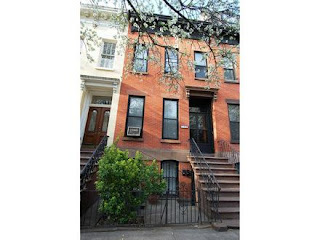 Now it lists for $2.275M and fetches $2.22M in a flash - or what Brownstoner calls "the Barclays Center discount". What's funny is that even if it listed for $1.6M today, somebody would complain that it's only 3 stories, bid $1.45M, and wonder why they never got a call back. 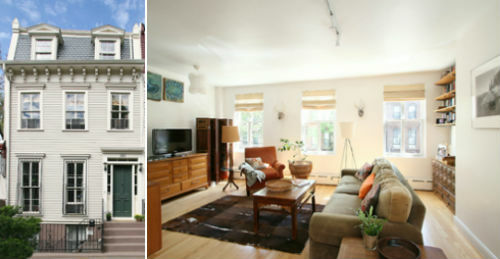 When you saw 707 Union Street come out in prime Park Slope for $1.425M, you wondered what the catch was - and you were right. 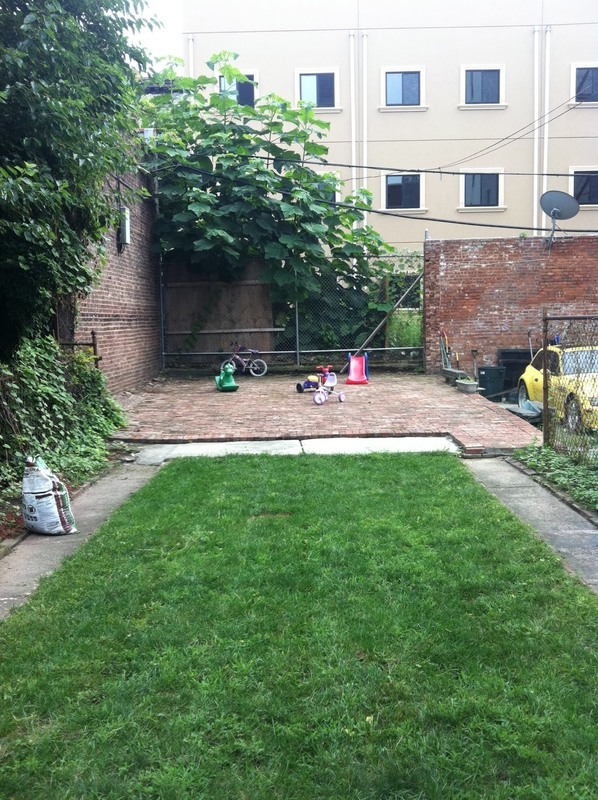 Besides a lovely backyard and tasteful renovation, it's only 12.5' wide. That didn't stop it from fetching over $25K above asking price last month. In prime Boerum Hill, this buy & hold or condo converter's dream at 16 Dean Street has been in contract for forever. It finally closed this month for $2.65M. That's a 25' x 75', people, between Court and Smith Streets. Almost a 6-cap in true Boerum Hill? So clutch. Almost as amazing of a buy as 364 Union Street. And, finally, the Triangle Sports building selling for over $4M recently makes us think this building a few blocks away is a steal. But devil's advocates tell us that the Triangle Building will lease for $35K/month and is "iconic". We'll believe it when we see it. Sounds like Brooklyn commercial real estate echo-chamber to us, but we're not the ones collecting hundreds of thousands in commission for these sales, so what do we know? Joni Mitchell said, "They paved paradise & put up a parking lot." And for those skeptics who need peer review, Q-Tip said, "Joni Mitchell never lies." 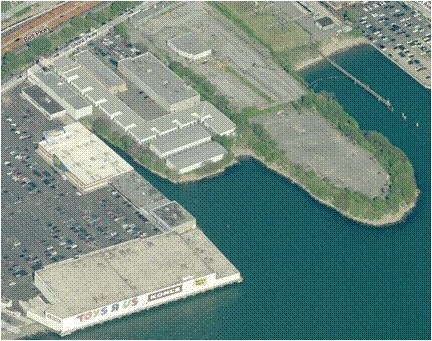 But what happens when they sell your parking lot and turn it into condos? 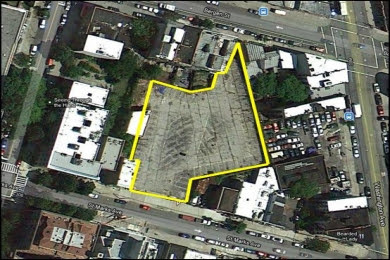 On Platinum Member radar since January, Massey Knakal reports this Prospect Heights lot was sold as a development site for $5.75M. While some developers were moaning that it didn't have enough frontage and is an awkward shape, others were saying, "How 'bout just under $100 per buildable square foot in one of the hottest neighb's and upcoming school districts in all of Brooklyn?!?" We're sure they won't have any problems slangin' those 62,000 square feet for the neighborhood's standard $500/sqft, or much more by the time they come to market. Inside, you'll find a healthy dose of original floors, moldings, high ceilings, and interior staircase on a healthy 18' x 50' floorplate. The interior condition, layout, and even the extension in the back are all reminiscent of 676 Eastern Parkway. For under a million, you get all this on an extra-deep lot that's 128' deep, affording lots of yard and lots of FAR. Corcoran agent Caterina Peters has simply done it again in Crown Heights. But don't let her sweet demeanor fool ya'. She's not working for you; she's working for her sellers. And she's doing a heck of a good job at it too! Those who thought her listing at 10 St. Charles Place was overpriced at $920K must've really done a double-take when it came back out for $999K shortly after. 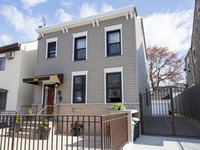 Low-ball offers on her listing at 355 Eastern Parkway were in the rear view mirror to cash & large down payment offers well above asking price. Like Jay-Z says, "I'm not lookin' at you dudes; I'm lookin' past you." 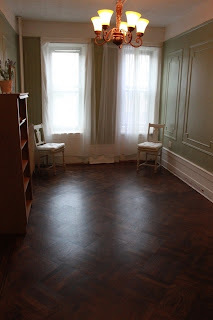 Even if this house isn't available anymore, don't despair. There's one on this same street for the same price that a fraction of the same folks bidding these up know about. Isn't market inefficiency great? About a year and a half ago we covered the uninspiring $1.895M listing that Century 21 had for 292 1st Street. Back then, the blast off of prices post-crash recovery was just starting, and a 3-story in that condition made sense closer to $1.4M still. However, as we've seen over and over, a rising market tide often catches up to prices that were previously (if only momentarily) absurd. 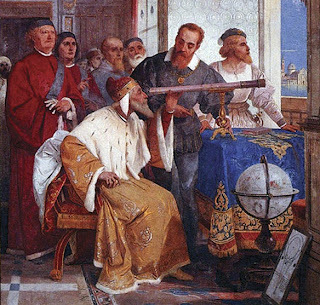 In the year 1616, Galileo used the behavior of the tides in Venice as part of the evidence for his theory that the Earth revolved around the sun. We take it for granted in retrospect, but this was ground-breaking stuff at the time, people. 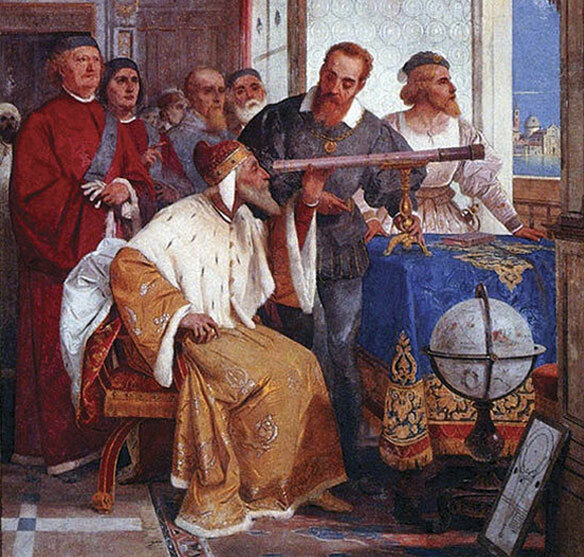 The average man can't prove of most of the things that he chooses to speak of"
But you don't have to track the tides of Venice or the phases of Venus like Galileo to know what's going on in this Park Slope market. 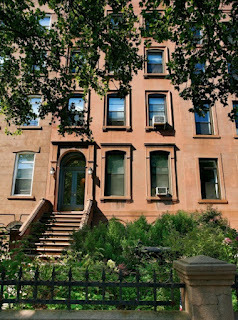 Last Fall in the Slope featured some banner sales for fixer-uppers around $2M. If that wasn't indication enough, the writing was definitely on the wall by the time even dinkier fixer-uppers were pounced on by 30+ appointments in no time. And that was in the dead of winter; not the beloved "Fall buying season" that old-school real estate agents set their sundials to. That house going in contract to one buyer left at least 29 other people with deep pockets running around looking for the same batch of properties. Which is why it was no surprise to see this place, or this place, or this place, or this place, or this place, or this place go for above asking price in the following months. The market was so hot, even the precious New York Times was off by $1.5M to the downside on a sales price in Park Slope - in a story about "Brooklyn's Gold Rush" no less! In our opinion, the lines have finally converged. This latest listing with Corcoran at $1.6M should do the trick. The house won't wow you, but you're paying for the location. 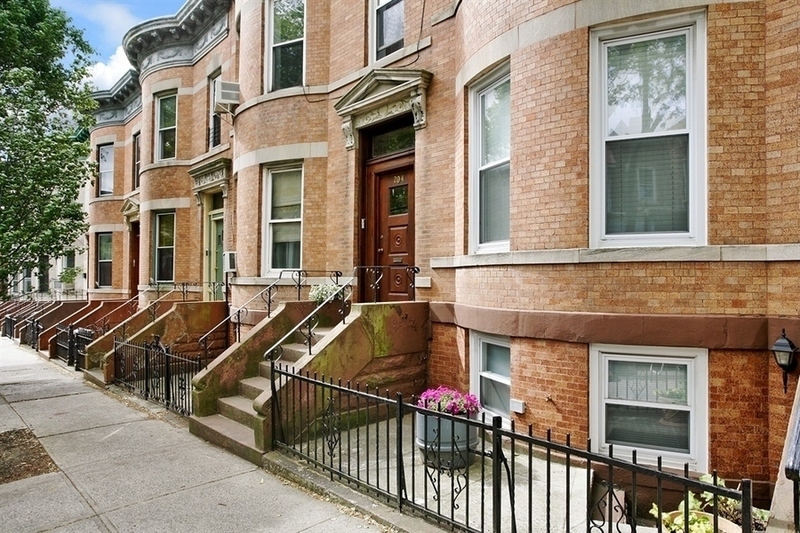 And what's the next-best $1.6M in Park Slope at this very moment? This same agent is bringing you another dinky house in a great location at 372 6th Street, but wasn't able to move it as quickly as we'd imagined. Heck, even a working clock like BK to the Fullest is wrong a handful of times a year. Pro's: curb appeal, location, and perhaps even price this time around? 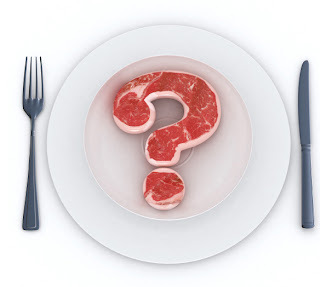 Ideally: understanding the market isn't just a matter of "what", it's also a matter of "why"
Closings of Note: "The Game is the Game"
A lot has changed, but some things stay the same. As Avon says, "The game is the game." Platinum Members got a sneak peak at 85 1st Place, a Carroll Gardens condo conversion on the parlor floor of an extra-big brownstone. It listed for $899K and sold for $929K shortly after. If you call yourself a "developer", you'll be happy to know there's still over $1M to be made on this same block on a similar turnkey conversion. 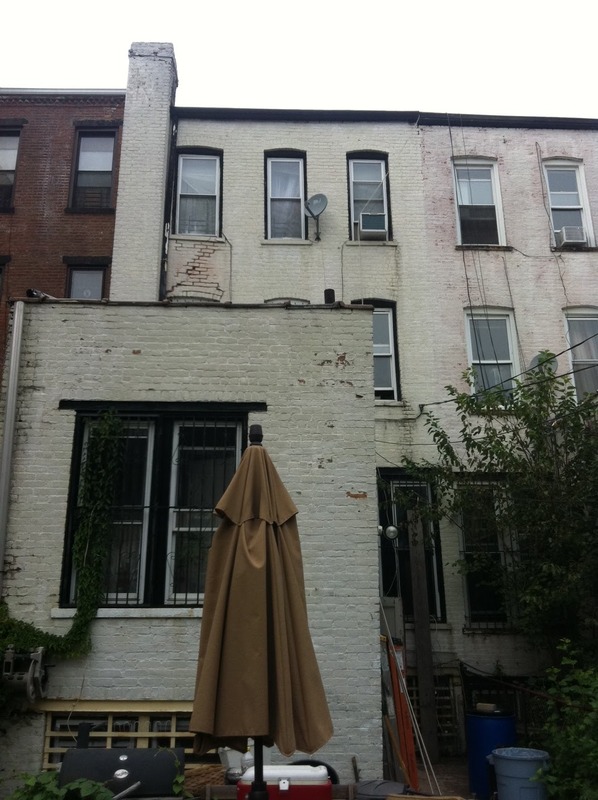 A nice 20' x 52' 2-Family on 3 stories in Windsor Terrace at 204 Windsor Place got their $1.1M with Corcoran last month. 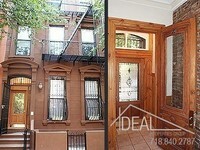 Pretty good price to be right next to Prospect Park. 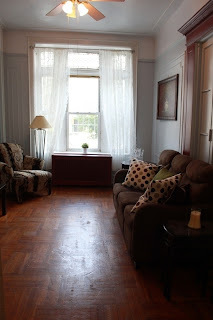 We're still partial to one of our favorite reno's on Windsor. But this is a nice pick-up, especially when Corcoran's reporting that 25% of condo sales in Brooklyn are $1M+ (up from 15% previously). If 204 didn't float your boat, perhaps you'd prefer the estate sale at 229 Windsor Place. Closed in July for $1.143, vinyl-siding & all. 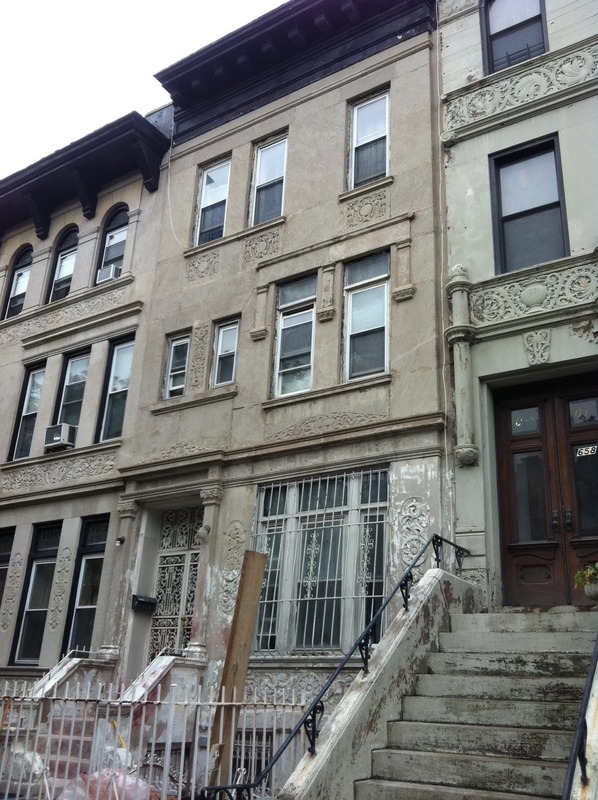 Speaking of Park Slope, check this south Slope beauty at 488 13th Street. Listed for $2.65M, dropped to $2.495M, and fetched $2.35M last month. 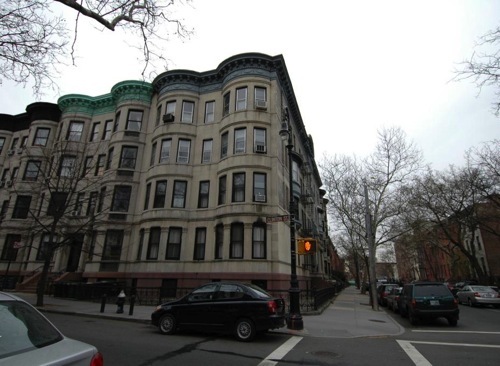 181 Ashland Place started close to $1.6M, dropped under $1.45M, and sold for $1.3M last month. This 2-Family had a few nice details, but needed updates. Not the best block or lot either. 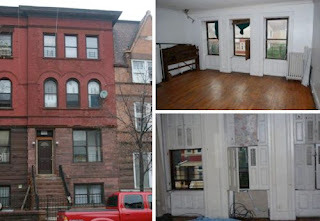 Everyone's favorite disaster at 376 Franklin Avenue in Bed-Stuy sold back in May for $800K. Then they flipped it last month for $1.38M. Anyone see that coming? And you thought 271 Jefferson ruined the comps in Bed-Stuy!! Remember how places in Clinton Hill wanted over a million around the crash but couldn't get it? And now people are fighting tooth & nail to get those same deals 3-4 years later? Maybe you don't remember, but Rodolfo Lucchese sure does. 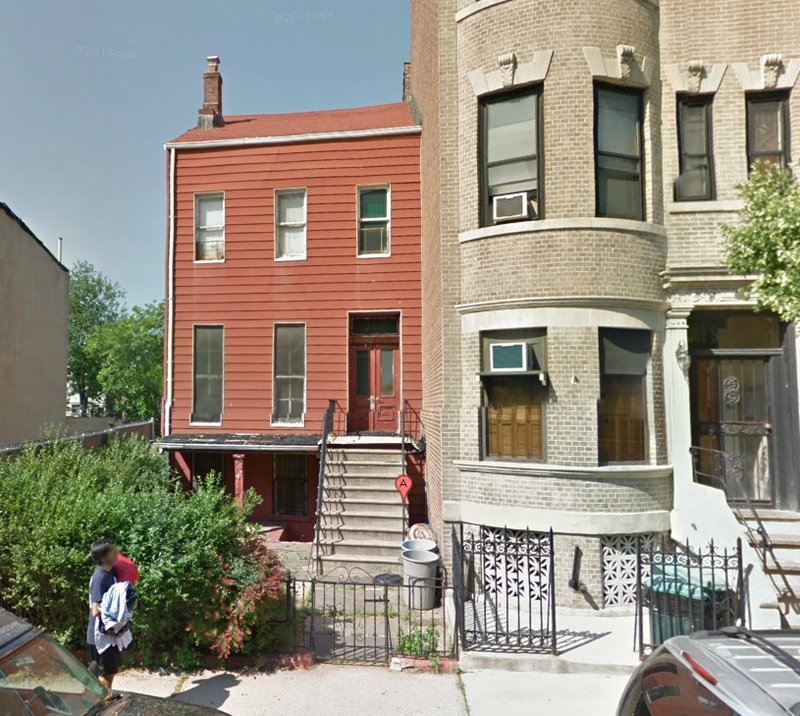 He swooped up this expired listing at 54 Irving Place for $1.025M last month. Clients of his asked us to find a townhouse for them, but we think he can do the job just fine. 108 Bergen Street in Boerum Hill didn't last a week on the market before they were already shoeing people away. Some buyers kicked and screamed to get a chance to peak inside, only to find it was in way worse condition than they were expecting. 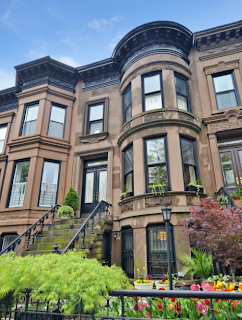 Welcome to one of Brooklyn's most expensive neighb's. 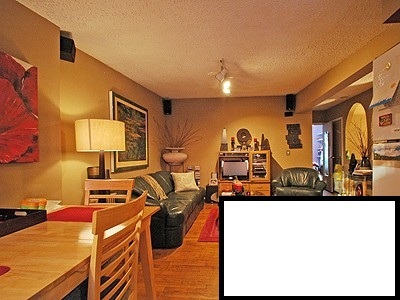 This 2-Family closed for a way-reasonable (in this market) $1.4M last month. A little Brownstoner touting couldn't have hurt the sale of this Fort Greene 2-Family at 268 Clermont Avenue last month for its asking price of $1.95M. 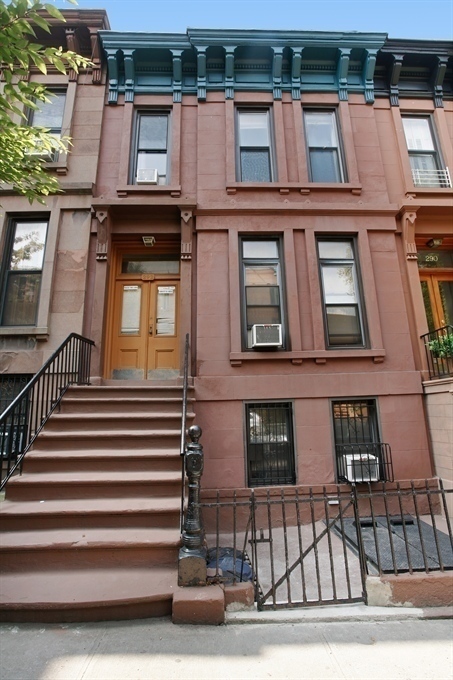 Ditto for this Prospect Heights beauty at 314 Park Place for (...gulp!) $2.975M. Sold last month for asking price, people. 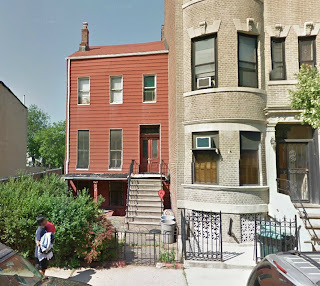 If you're keeping score at home, that's 4-stories in Prospect Heights for $600K+ more than a 3-story barrel front in Park Slope at 488 13th Street. 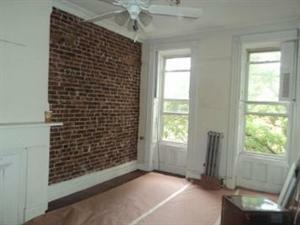 Can we please put the "I want a finished home in Prospect Heights for $999K cash" talk to bed now? 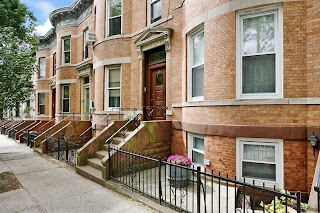 While some people were still sleeping on Crown Heights, this 3-Family house at 1171 Dean Street that wanted $595K before the crash fetched $1.225M last month. After bobbing around last year for almost $2.4M, Ideal Properties finally moved this 5-Family at 20 St. Marks Place in "Boerum Hill" for $1.8M last month. In the comments section of our "Chasing the Unicorn" post, one reader asked us, "Is there even any hope for sub 1.5M in South Slope?" We said only if it's an SRO, estate sale, under-marketed, or some combination of those. 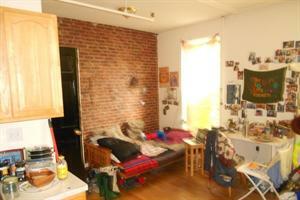 Case in point, today's pick is an under-marketed SRO that you won't find on your Streeteasy or your New York Times. You might not come across it if you're not in the business of painstakingly searching every commercial broker's website on the regular. You might be fortunate enough to swing a $1.15M purchase in south Slope, but you might have other things going on in your life like a career, a family... Maybe you don't have time to check hundreds of websites all the time to make sure no gem of a listing has slipped through the cracks. Maybe you're not really interested in 700,000 sqft at a "BigBox Waterfront Retail Development Site" like some of their other clients. 394 10th Street comes to you courtesy of commercial brokers who put their listings on LoopNet, a commercial listing website recently acquired for $860M. 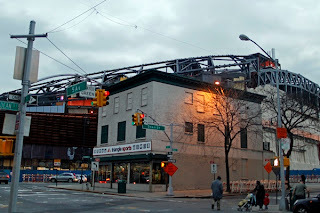 But for all those hundreds of millions of dollars in value LoopNet represents for the commercial real estate market, that's not where most people go looking for a townhome in Brooklyn's beloved Park Slope. Yet for "only" $250K more than a vacant, boarded-up, foreclosed house in Bed-Stuy listed with the same company, you can still get a brick townhome that's not a shell in South Slope between 5th & 6th Avenues? On the same block as an even-smaller Corcoran listing for $1.575M at 415 10th Street?? What's the catch? 394 10th Street isn't boarded up. And it's not like it's all rent controlled. Corcoran's getting around $1,450/month for a studio in there. Albeit an SRO, if this house is really a 6.5% cap, you're talking prices people pay in way less desirable neighborhoods than South Slope. The "10-units" they're claiming inevitably include some rooms with common kitchen & bath on a floor. And we suspect you could amp that cap rate up significantly if you ran the building a little differently. Some have proposed a B&B kind of model, which there are competing theories as to the legality of. As one broker told us, "The city put these SRO's because there wasn't enough short-term housing, now they wanna say you can't use them for short-term housing?" Either way, if you could get a conversion going now, or take over part of it, or at worst sit on a 6.5% cap for a few years with a 1 or 2-Family townhouse conversion as a top-notch destination for this house... wouldn't be the worst $1.15M we've seen on these blocks in the past 18 months by far. 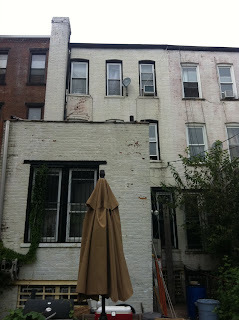 Afterall, this is a pricepoint that a fixer-upper in Bed-Stuy just dropped to. 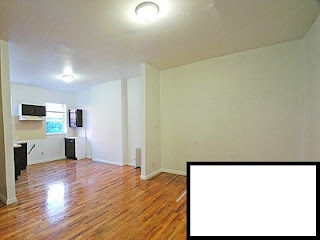 Not on your Streeteasy or your New York Times, comes a 2-Family in Boerum Hill that this time last week had no pictures up and no description. While that has been remedied in the past few days, instead of giving us any information about the property, the listing agent simply told us they weren't co-broking, which we found odd. First of all, we weren't after any of their commission in the first place. Second, if you're a member of REBNY, as this broker is, you're obligated to co-broke with another REBNY agent if it is your exclusive listing. Which led many we know to guess that it's an open listing and not their exclusive. We even went into their office to discuss with the managing director, who yelled at us and chewed us out for having "no credentials". 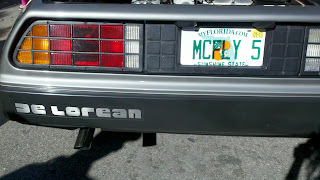 (Yours truly is no licensed agent or broker in NY, and never claims to be.) We won't put them on blast here because "no publicity is bad publicity" - but it's not hard to figure out who we're dealing with. "Anyone can write a blog," the managing director of their office told us, "But you're just 75 hours away from getting your license." "Wouldn't that imply that anyone can get a license?" we asked. But beyond the petty disputes over commission - the sole territory of licensed agents and brokers, not us - it was nice to have an honest debate over how the industry works and what's really in a buyer's and seller's best interest. And in our humble opinion, shoeing away buyers & posting listings with no pictures or address can't be in the best interest of either. "Here's what the problem is," we told the manager. 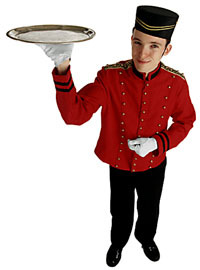 "You brokers think you're the chef, when in reality you're just the waiter." 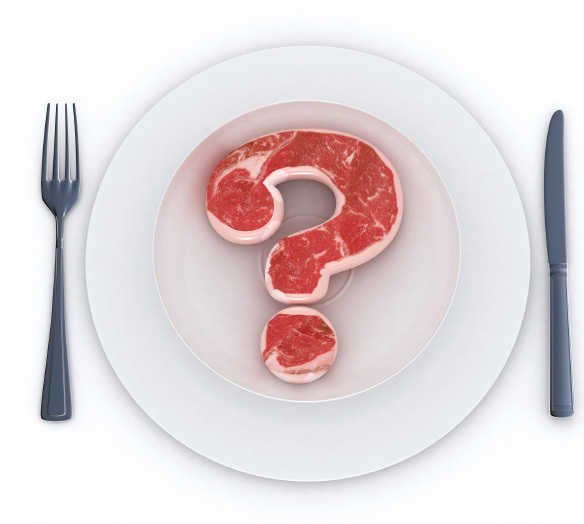 She asked demeaningly, "And what does that make you, the busboy?" You obviously don't need to take a 75 hour class to know what you're talking about in Brooklyn real estate. And plenty of people running around with licenses certainly don't know what they're talking about. 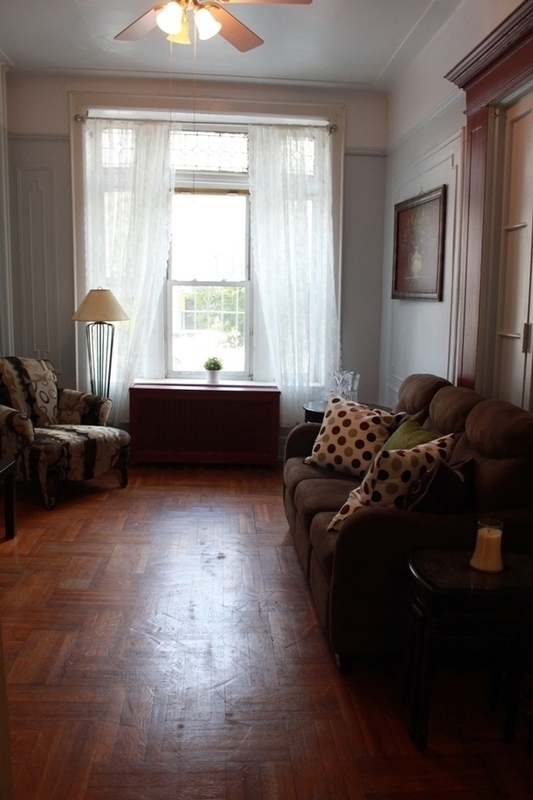 So what do you think of a 2-Family under $1.5M around Hoyt and Douglass? These pictures will not wow you. We're given no exterior pics (presumably to withold the identity of the building). But with more than a handful of neighbors asking $1.9M-$3M, this could be a nice value proposition for someone. 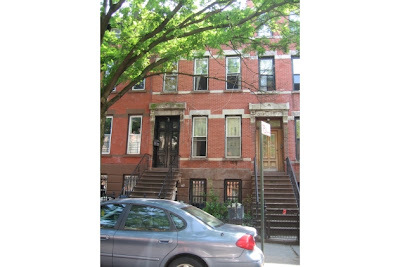 We're told you get a duplex with the cellar as one unit, and a 2BR rental on top. Why so cheap? 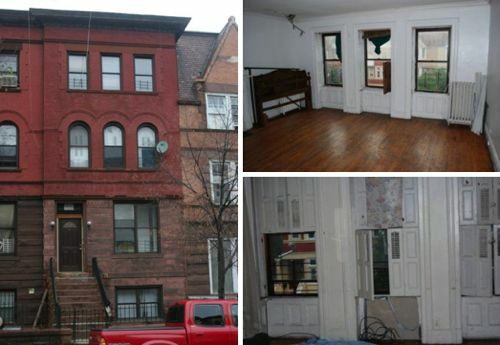 Fixer-uppers with character over here have gone in contract with list prices above $1.5M. One of the best values over here in a long time fell all the way to $1.1M. 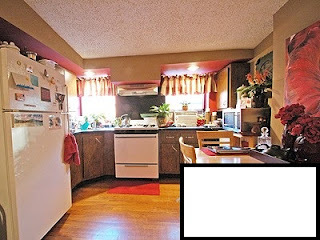 Besides the generic interior on this mystery meat home, obviously the projects over here come into play too. And you're up against less evasive listings with a clear address and an open house today, like 161 Hoyt Street for $1.595M. But if you want to be close to Smith Street and get rental income to boot, this is about as cheap as it gets for a condo alternative. 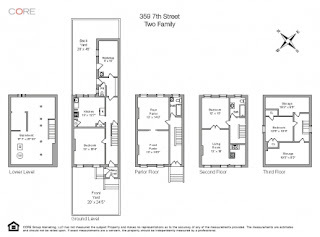 Think 400 Bond Street with rental income. Open House this Saturday: Reader "Exclusive"